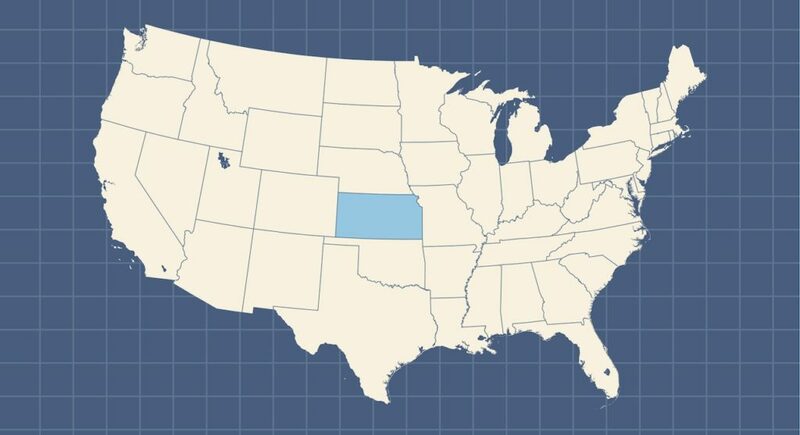 Two congressional districts in Kansas could play a key role in the 2018 midterm elections as Republicans try to hang on to their majority in the U.S. House, and Democrats try to win back control for the first time since the 2010 elections. 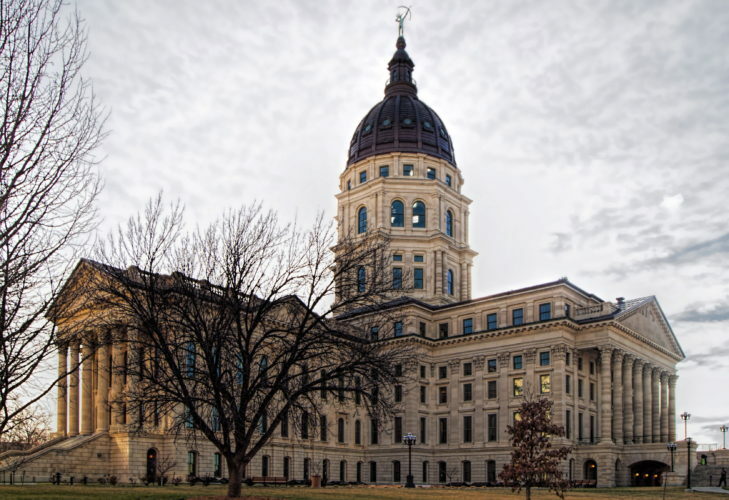 The 2nd District, which includes Lawrence and much of eastern Kansas, and the 3rd District, in the Kansas City metropolitan area, are both seen as Republican seats that are in play this year, according to national political handicapping websites. In the 2nd District, where incumbent Republican Lynn Jenkins is stepping down after five terms, Sabato’s Crystal Ball, a project of the University of Virginia’s Center for Politics, and the nonpartisan website Real Clear Politics are calling the race a toss-up. Other sites, including the Cook Political Report and Inside Elections with Nathan L. Gonzales, show the district leaning Republican, but by no means safe for Republicans. Real Clear Politics also rates the 3rd District as a toss-up, although the other three handicappers rate it as leaning Republican. That’s where Republican Rep. Kevin Yoder is running for re-election in a district that Democrat Hillary Clinton narrowly carried in the 2016 presidential election. 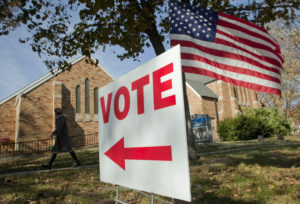 University of Kansas political science professor Patrick Miller said he agrees with those assessments, saying both races are in the area between toss-ups and leaning Republican. “Certainly neither of them is leaning Democratic right now,” he said in an interview. 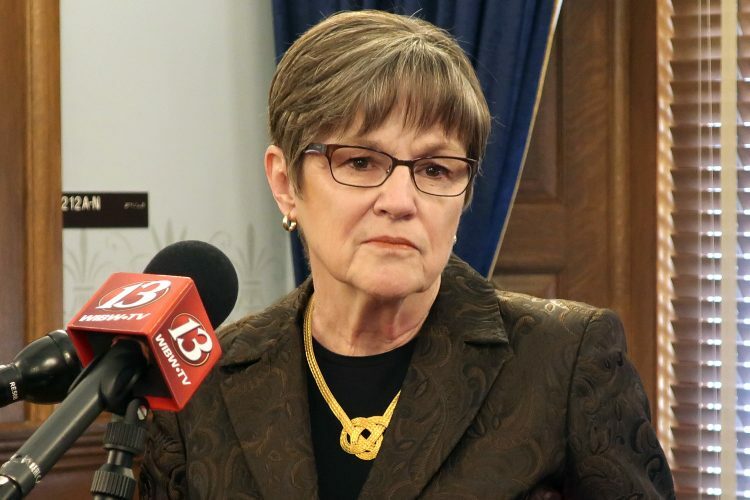 Miller said either one of those districts would be considered a big win for Democrats, but not necessarily “must wins” in terms of who controls the U.S. House after the election. Michael Smith, who teaches political science at Emporia State University, said he thinks Democrats will need to win at least one of the Kansas races if they hope to take back the House. “They have to flip a lot of seats, because the margin’s not that close,” he said in an interview. Republicans currently hold 235 seats in the House and Democrats hold 193, according to the House’s official website, house.gov. There are another seven vacant seats: five that were last held by a Republican and two that were last held by a Democrat. That brings the total breakdown to 240-195 in favor of Republicans. The reason Democrats are hopeful this year is simple. Dating back to 1954, in every new president’s first midterm election, the president’s party has lost, on average, 23 House seats. That’s exactly the number of seats Democrats need to win to gain a one-seat majority. And in years when the president’s job approval rating is below 50 percent, as President Donald Trump’s is now, the average net loss is 48 seats. That goes back to Ronald Reagan in 1982, Bill Clinton in 1994, and Barack Obama in 2010. The two Kansas districts, however, appear to be in play for different reasons. The 3rd District, which includes Johnson, Wyandotte and part of Miami counties, represents the classic example of the kind of district that the national Democratic Party is targeting this year — a relatively wealthy, largely suburban area with a large percentage of college-educated voters that Clinton carried in 2016. But Democrats in the 3rd District have not yet coalesced around a single candidate to challenge Yoder. There are at least six candidates actively campaigning for the nomination. They include Sharice Davids, who recently got the endorsement from EMILY’s List, a national group that promotes female Democrats who support abortion rights; and Brent Welder, who has the endorsement of the Congressional Progressive Caucus. 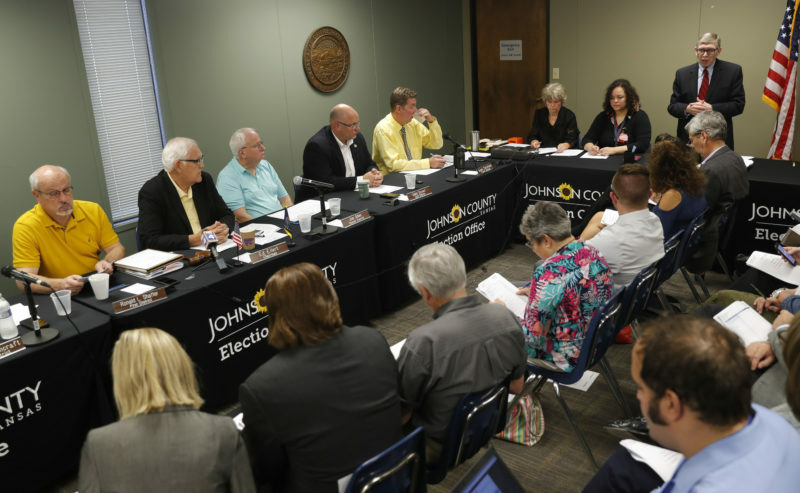 Also in that race are high school teacher Tom Niermann, Leawood businesswoman Sylvia Williams, tech executive Mike McCamon, and the 2016 candidate in the 3rd District, Jay Sidie. Unlike the 3rd District, the eastern Kansas 2nd District appears, on paper at least, like a Republican stronghold. Trump carried the district with 56 percent of the vote in 2016, and Jenkins won her last election with 61 percent. However, there is a crowded field of GOP candidates hoping to succeed Jenkins, but there is no clear front-runner in the race. Democrats, on the other hand, have organized behind their 2014 gubernatorial nominee Paul Davis, of Lawrence. Until recently, the major Republican candidates in that race were state Sens. Caryn Tyson, of Parker, and Steve Fitzgerald, of Leavenworth, along with Rep. Kevin Jones, of Wellsville. Also running is U.S. Army veteran Steve Watkins, of Topeka, and Basehor City Councilman Vernon Fields. Although the three incumbent legislators were seen as strong in their home communities, none was seen as the kind of political heavyweight who could compete with Davis, who reported raising more than $1 million at the end of March. 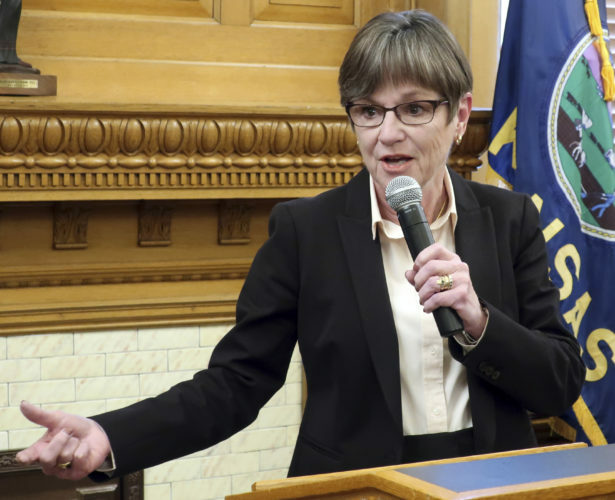 That prompted two other Republicans to jump into the race in May, most notably former Kansas House Speaker Doug Mays, of Topeka. Also filing late was conservative state Sen. Dennis Pyle, of Hiawatha, who challenged Jenkins in a GOP primary in 2010, losing by a 57-43 percent margin. In a phone interview, Mays acknowledged that there was “a lot of concern” within Republican ranks that the party was not fielding a strong slate of candidates. The fact that Mays and Pyle entered the race barely four months away from the Aug. 7 primary, while others have been campaigning for the better part of a year, was seen as an indication of how undecided this year’s GOP primary in the 2nd District really is. Miller said there are similarities between the 2nd District GOP primary and the 3rd District Democratic race.